The female protesters who ran out to pitch during the World cup final have been jailed. A Moscow court on handed down a 15-day jail sentence to the quartet who interrupted Sunday’s World Cup final between France and Croatia by running onto the pitch wearing fake police uniforms. The judge also banned the pitch invaders, including glamour model Veronika Nikulshina, from attending sports events for three years. The invasion by members of the punk band early in the second half of the final was a brazen act in Moscow’s Luzhniki stadium in front of Russian President Vladimir Putin and other high-ranking officials from around the world. They faced administrative not criminal charges for their protest against human rights abuses as Russia opts not to make martyrs out of the protesters. The four – including model Nikulshina, 21, an economics student, and Olga Kurachyova, 25, who has worked for BBC Russia – will face administrative not criminal charges for their protest against human rights abuses. 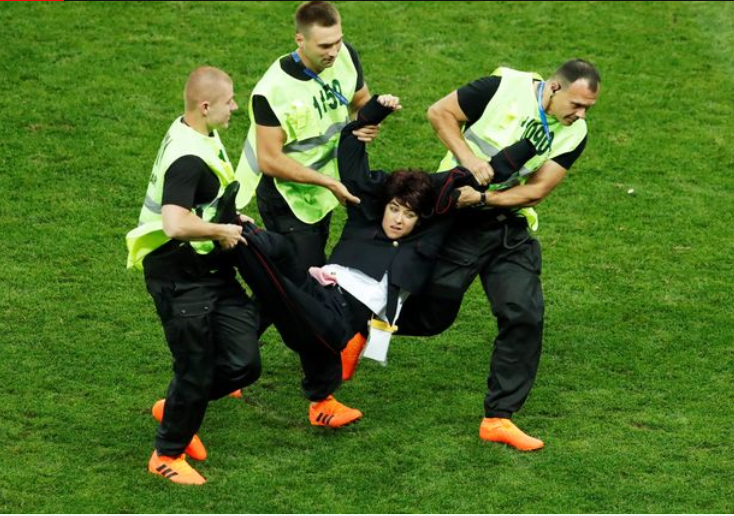 Kurachyova said their stunt, which held up the game only briefly, was meant to promote freedom of speech and condemn policies of FIFA, soccer’s global governing body. “It is a pity that we disrupted the sportsmen,” Kurachyova told reporters on Monday. “FIFA is involved in unfair games unfortunately. FIFA is a friend of heads of states who carry out repression, who violate human rights. “Verzilov said the performance was also meant to show how “the state, in the form of the police, intrudes into people’s lives”. 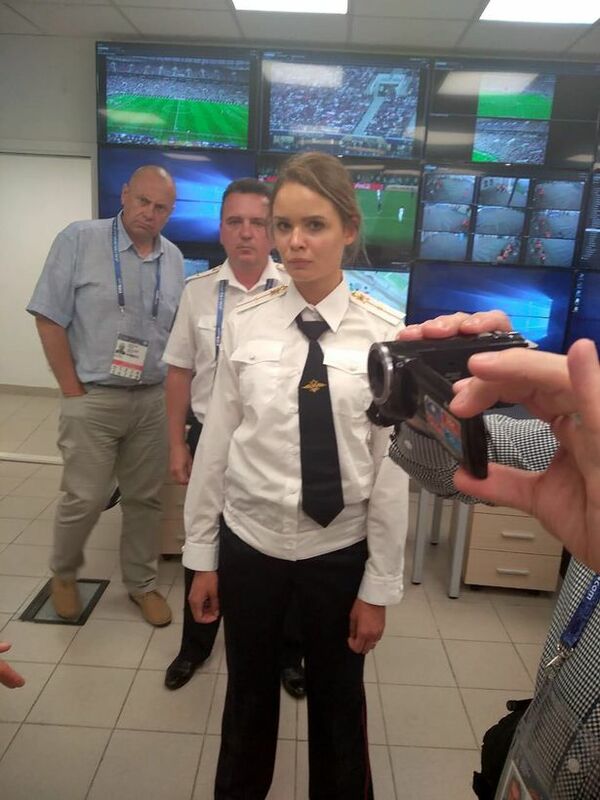 They ran onto the pitch in the 52nd minute wearing hired police uniforms in the first significant security lapse in the five week tournament. While they were jailed, they will not be sent to a Siberian hell penal colony as happened after a 2012 anti-Putin ‘punk prayer’ protest in a Moscow cathedral, according to the expected charges.